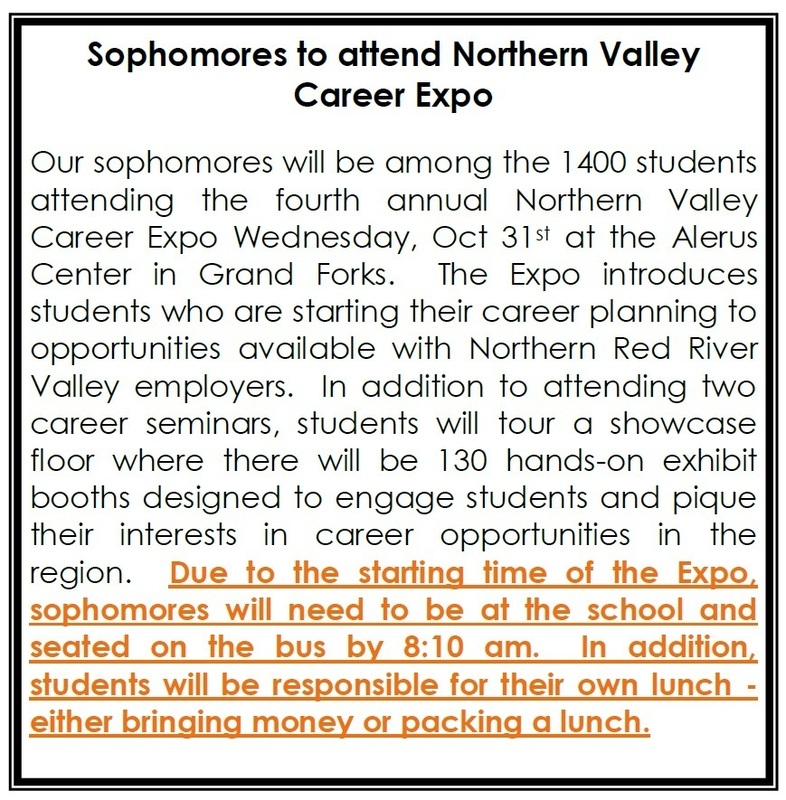 Our sophomores will be among the 1400 students attending the annual Northern Valley Career Expo Wednesday, October 31st at the Alerus Center in Grand Forks. Due to the starting time of the Expo, sophomores will need to be at the school and seated on the bus by 8:10 am. In addition, students will be responsible for their own lunch - either bringing money or packing a lunch.